I don't know if I'm the only one who noticed that Facebook loves copying features from its various competitors, only if Facebook finds that feature interesting enough. Anyway, Facebook set to roll out a new feature that will allow users of Messenger to share their Live location with their friends. This feature is powered by Google Map, and it's called Live Location Sharing. This is similar to Whatsapp's Live location tracking. Facebook live location sharing lets you select the friend you choose to see your live location on a map hosted by Google for up to an hour. You can aswell share your live location with friends in a group or to just one single person, and can stop at any time. A small countdown clock will tell you how much longer you're sharing for. Once you share your location, both you and the person or people you're sharing it with are able to see an estimate of how long it would take you to get to their location(s) by car. If you want to share a static point on a map, and not your live location, you can still do that too - except, instead of choosing Share Live Location after you tap the location pin, just tap the red pin in the upper right hand corner. You're then able to search for a place, or drag and drop the pin on the map before you hit Send. Moreover, the feature is currently rolling out globally to all Messenger users on both iOS and Android. You can equally be checking out your respective app stores for an update. 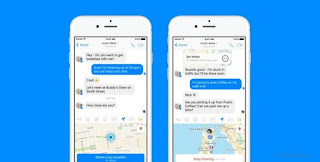 Facebook Messenger now has Live location sharing. 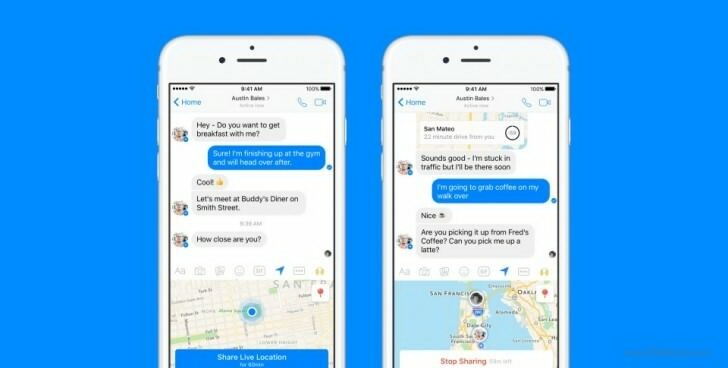 Facebook messenger rolled out Live location sharing. Facebook messenger live location sharing download. Nice improvement... am I going to on DATA BEFORE THIS FEATURE WORK? Hi vic. Pls is glo 0.0kb still working? I sha don't buy the idea of location detection. Too nosy in my opinion. Let people location be anonymous. Especially cos of stalkers.